NMFS Strives to Revitalize the Pelagic Longline Fishery - Why Not the Billfish Fishery? NMFS Strives to Revitalize the Pelagic Longline Fishery - Why Not the Billfish Fishery? NMFS Strives to Revitalize the Pelagic Longline Fishery – Why Not the Billfish Fishery? 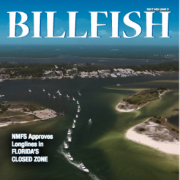 The Billfish Foundation objects to the goal of the National Marine Fisheries Service (NMFS) to revitalize the pelagic longline (PLL) fishery. Instead, TBF is calling for options that continue to reduce marlin and bluefin bycatch in the PLL fishery, as well as options that revitalize the recreational billfish fishery. NMFS’ preferential treatment of the pelagic longline fishery comes at the expense of marlin, the recreational billfish fishery, and bluefin tuna. For one, aiming to reduce the regulatory burden on the PLL fishery while striving to reduce bycatch of Atlantic bluefin tuna are contradictory objectives. The severely overfished Atlantic bluefin tuna, along with white marlin and blue marlin, are in need of further reductions in fishing pressure from PLL gear, not increases. It seemed that the 2006 NMFS Consolidated HMS plan was created to provide a more comprehensive approach to these fish that interact with both commercial fishing gear and recreational gear. However, the options proposed in NMFS’ Scoping Document primarily focus on stimulating the U.S. PLL fishery, a fishery that is partly responsible for driving marlin and bluefin tuna to an overfished status. Revitalizing the U.S. pelagic longline fishery will be at the further expense of marlin and bluefin tuna. 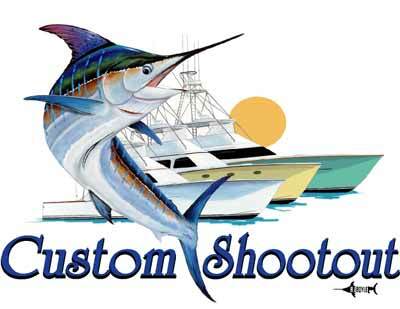 While one measure, the implementation of the required use of weak hooks by pelagic longline vessels in the Gulf of Mexico was for the benefit of bluefin tuna, it resulted in an increase of white marlin bycatch. And although a listing under the Endangered Species Act was decided to be unwarranted for white marlin in 2002, the report stated that unless the mortality of the species was reduced significantly and quickly, the species abundance could continue on a downward trend until an ESA listing was indeed warranted. Two measures were included in the Consolidated HMS plan that NMFS thought would benefit Atlantic marlin. 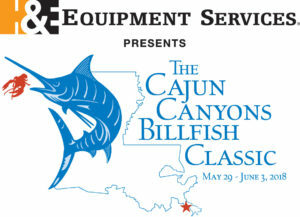 One requires all anglers fishing in tournaments with a billfish category to use non-offset circle hooks when using natural bait. 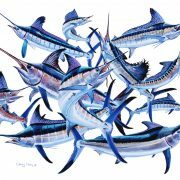 The other was the implementation of an agreed upon international landing cap of 250 marlin (blue and white combined) for the U.S. recreational billfish fishery. The agency summed up the inclusion of these two measures as “providing a balance between conserving living resources and maintaining a robust recreational fishery.” This declaration of robustness in the recreational fishery, when in fact Atlantic marlin were severely overfished, makes it clear that the agency’s goal will never be to reinvigorate the recreational billfish fishery. 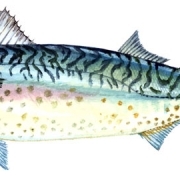 The current Scoping Document provides options that do not further fish conservation or stock recovery. For example, options directed at the Northeastern Pelagic Longline Closed Area (closed 1 month a year for a duration of 18 years), the Gulf of Mexico Gear Restricted Areas (prohibited for 1 month a year for a duration of 18 years), and the Cape Hatteras Gear Restricted Area (restricted 5 months a year for a duration of 17 years, with modifications to include vessel performance metrics) would benefit the pelagic longline fishery. Authorizing longline vessel access based on “performance metrics” would do little to keep fishing pressure reduced. Authorizing bycatch “triggers” without an observer on each vessel would likely contribute to high grading, whereby part of the catch is discarded in favor of more valuable fish. Mandatory observers on each vessel would be essential for triggers to be effective. Regardless, both approaches would increase interaction with marlin and bluefin tuna. At a minimum, the “No Action” option should be taken, maintaining current closures and restricted areas. Increasing “spatial and temporal parameters” to capture current interaction with bluefin and marlin would achieve greater conservation, as would expansion of the use of buoy gear in lieu of longline gear. To continue the recovery of Atlantic marlin and bluefin tuna stocks, further restrictions on the U.S. pelagic longline fishery are needed. 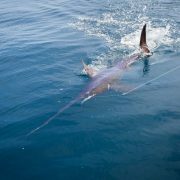 A plan to reinvigorate the U.S. recreational billfish fishery could return greater conservation and economic benefits. 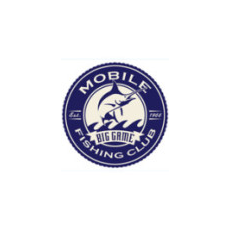 The recreational fishery and associated marine industry contribute significantly to the U.S. economy and generate hundreds of thousands of jobs. 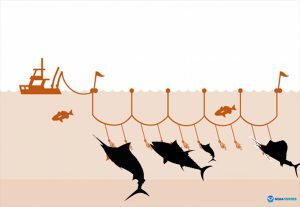 Alternatively, if the pelagic longline fishery is the focus of NMFS’ reinvigoration plan, increased pressure from the gear will lead to declining stocks and losses in the industry and the economy. 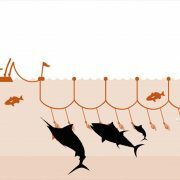 Submit your comments to NMFS in opposition of bolstering the U.S. pelagic longline fishery by May 1. As an angler, I am opposed to plans to revitalize the U.S. Atlantic pelagic longline fishery. This goal comes at the expense of bluefin tuna, marlin, and the recreational fishing industry, which generates hundreds of thousands of jobs and contributes billions to the economy. Many of the options put forth in the Scoping Document do not further fish conservation or stock recovery. I ask the National Marine Fisheries Service to, instead of bolstering the fishery responsible for closures and gear restrictions, take action to bolster bluefin tuna and marlin fish stocks. At a minimum, the “no action” option should be taken to maintain current closures and restricted areas. Please consider management options that achieve the greatest conservation benefits for our national marine resources.